Foreign buyers continue to see the U.S. real estate market as a safe and secure investment as Realtors experience an ongoing increase in the number of international clients, according to a report from the National Association of Realtors. NAR’s “2018 Commercial Real Estate International Business Trends report” analyzed cross-border commercial real estate transactions made by Realtors during 2017. Of the 59 percent of Realtors who indicated they completed a commercial real estate transaction last year, 18 percent reported closing a deal for an international client. Realtors have experience working with clients from different countries and real estate practices, so international buyers using a Realtor are at a true advantage and can rely on their expertise and knowledge of the global market. The study found that most Realtors who specialize in commercial real estate reside in smaller commercial markets where the typical deal is less than $2.5 million. Foreign investors are attracted to smaller-sized properties in secondary and tertiary markets, which is helping the profile of smaller commercial markets grow. Realtors’ international clients found U.S. commercial real estate markets to be a good value last year. NAR’s report shows 70 percent of Realtors reported that international clients view U.S. prices to be about the same or less expensive than prices in their home country. The top countries of origin for buyers were China (20 percent), Mexico (11 percent), Canada (8 percent) and the United Kingdom (6 percent). Sellers were typically from Mexico (20 percent), China (15 percent) and Brazil and Israel (both at 10 percent). Florida and Texas were the top two states where foreigners purchased and sold commercial property last year, with California third. Foreign buyers of commercial property typically bring more cash to the table than those purchasing residential real estate. Seventy percent of international transactions were closed with cash, while NAR’s “2017 Profile of International Activity in U.S. Residential Real Estate” found that half of buyers paid in cash. NAR’s commercial community includes commercial members, real estate boards, committees, advisory boards and forums. The organization’s commercial affiliate organizations include the CCIM Institute, the Institute of Real Estate Management, the Realtors Land Institute, the Society of Industrial and Office Realtors and Counselors of Real Estate. Approximately 80,000 NAR members specialize in commercial real estate brokerage and related services including property management, land counseling and appraisal. In addition, more than 200,000 members are involved in commercial transactions as a secondary business. 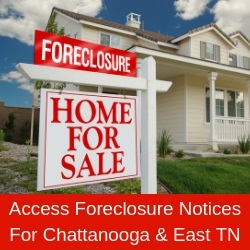 Greater Chattanooga Realtors – the most trusted resource for real estate information in southeast Tennessee and northwest Georgia – maintains a list on www.gcar.net of Realtors who are fluent in languages other than English. On Tuesday, Aug. 14, join us for the Annual Economic Outlook Luncheon, which we will co-host with the Home Builders Association of Greater Chattanooga. We’re going to look at how the Chattanooga region has thrived and changed in the past year and what’s to come. Tickets go quickly, so purchase yours today on www.gcar.net or call 423 698-8001. Information: www.gcar.net or 423 698-8001.